I often come up with the ideas for my blogs while working in my garden. This one started with a very simple thought: I love purple. 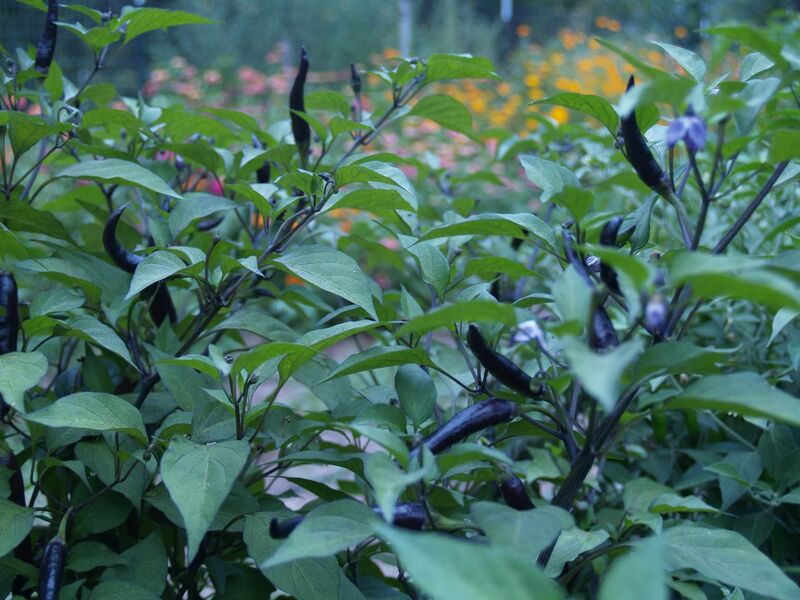 I was admiring the purple cayenne we are growing this year. They have that lovely deep purple like eggplant. 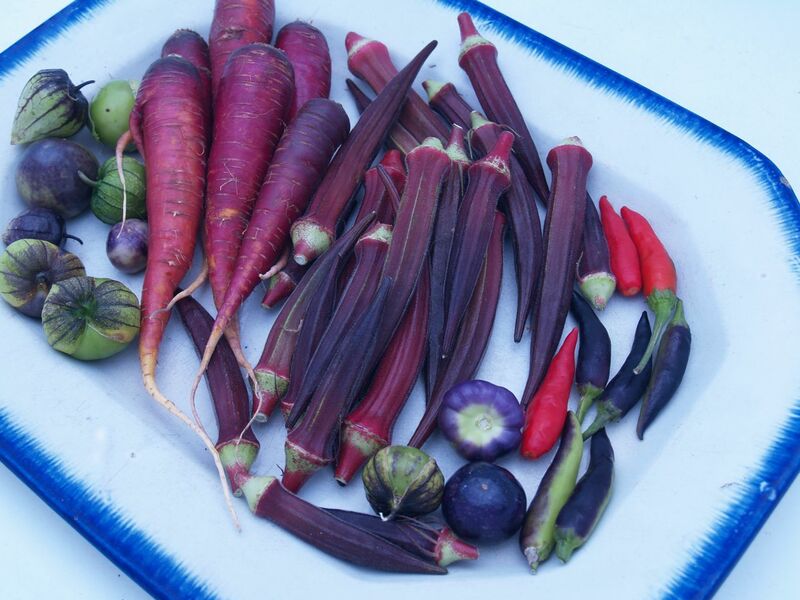 We are growing several other purple varieties in our garden this year like carrots, tomatillos, and okra. The presence of this purple color indicates that these vegetables provide a specific type of antioxidant known as anthocyanins. Other sources of anthocyanins are purple cabbage, purple potatoes, blue corn, black beans, plums, dark grapes, strawberries, raspberries, blueberries and black berries, as well as herbs like elderberry, hawthorn, and acai. Anthocyanins are considered to be one of the best antioxidants for protecting our brains, hearts, and blood vessels. Even though purple is so enthralling, we need other colors to round out our intake of antioxidants. Leafy green veggies are a great source of chlorophyll, which can help protect our DNA from damage and aid the detoxification process. Leafy greens also hide a bunch of beta-carotene under that green. So along with carrots and other orange foods, we can eat our greens to help maintain our vision and enhance the ability of white blood cells to neutralize carcinogens. Lycopene is one of the most potent antioxidants for cancer prevention, especially prostate cancer. It is found in the pink foods: tomatoes, watermelon, and pink grapefruit. Overall the goal is to eat a rainbow of foods so we are getting a diversity of antioxidants to protect our cells from damage and help prevent cancer. If you want to try some of my purple okra, we are now selling it in the produce department of Ozark Natural Foods. This entry was posted in Health and tagged antioxidant, black berries, cancer prevention, cardiovascular disease, cardiovascular health, cognitive support, dementia, detoxification, food, health, heart health, immune support, inflammation, memory, nutrition. Bookmark the permalink.